Montana 4-H combines tradition with cutting edge skills through hands-on learning empowering youth in your community to lead for a lifetime. 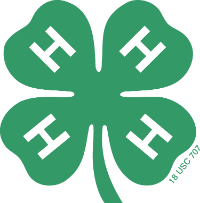 Find information about Montana 4-H Statewide events, activities, and education initiatives. Apply for grants, scholarships and award opportunities. Learn more about the projects offered through Montana 4-H. Find links to web-based curriculum and how to purchase project books through MSU Extension publications. Find forms, documents and materials for county programs and volunteers. Useful marketing and print materials for recognition and promotion. Learn how to become a volunteer, start a club or support the Montana 4-H program in a wide variety of volunteer capacities. Also find links to useful volunteer resources and information. Find information on how to contact your local MSU County Extension office and locate a club in your community.